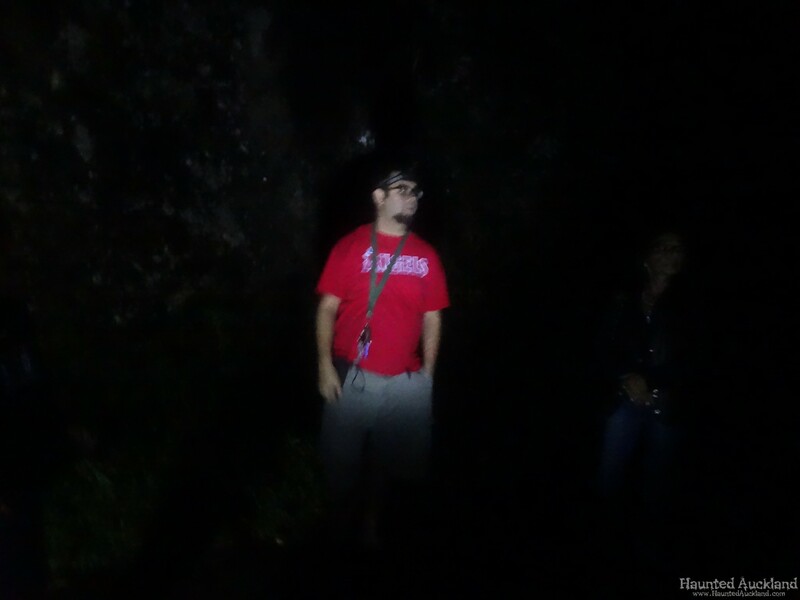 Home International Paranormal America Kaniakapupu Palace ruins, Nuʻuanu Pali and Manoa exploration – Oahu, Hawaii. 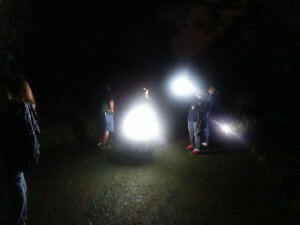 I met up with some Hawaiian paranormalist friends riding under the name Hawaiian Hauntings whilst on a trip to the U.S in November 2014. Together we headed out until well after 2am, into the dark, muggy and drizzly night to explore some historical and spiritual landmarks that have had more than their share of ghost stories through the years. I would like to extend a huge ‘Thank You’ to Joe Punohu for arranging this, showing me around and teaching me so much in my time there. Also, to all my new friends that came out with me and made me feel so welcome. Kamehameha III built a summer palace on this sacred heiau site. He named it after the heiau. The palace had one main room and a wrap-around porch. A separate structure housed a kitchen and there were several other thatched buildings, or hales. 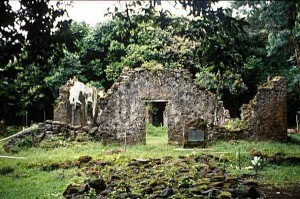 Kaniakapupu – Summer Palace of King Kamehameha III and his Queen Emma. Completed in 1845 it was the scene of entertainment of foreign celebrities and the feasting of chiefs and commoners. The greatest of these occasions was a luau attended by an estimated ten thousand people celebrating Hawaiian Restoration Day in 1847. 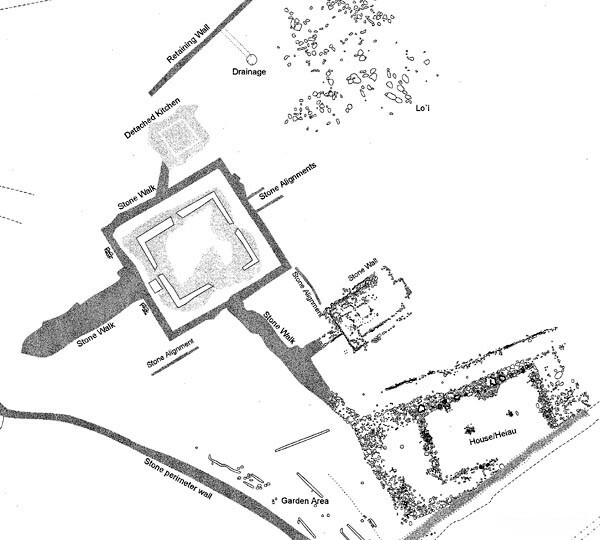 Map of the site of Kaniakapupu done by an archaeology field school in1999. The Luakaha property extends below the “stone perimeter wall.” Nu‘uanu stream lies off to the right. 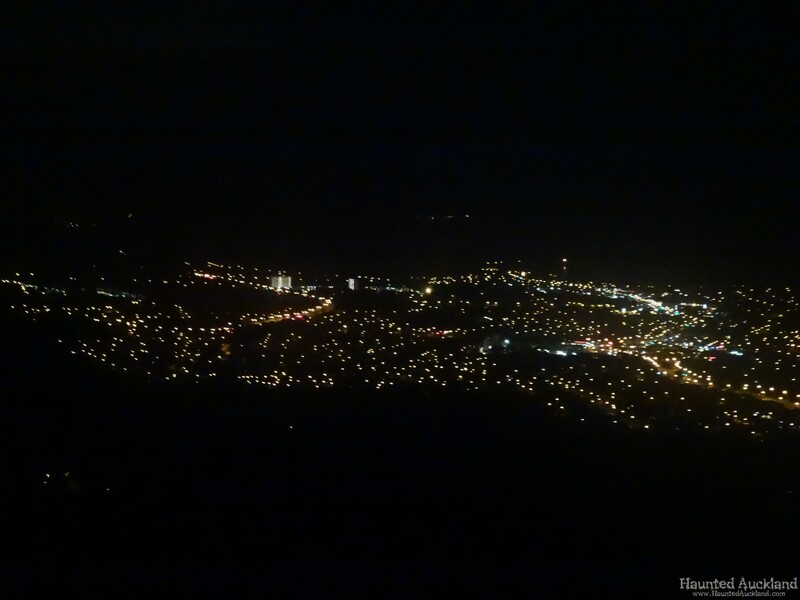 The area is also the home of the Nuʻuanu Freshwater Fish Refuge and the Nuʻuanu Reservoir in the jurisdiction of the Hawaiʻi Department of Land and Natural Resources. 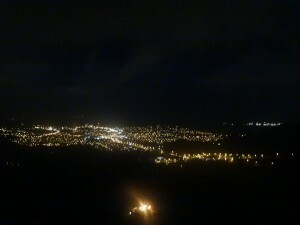 The Nuʻuanu Pali State Wayside is a lookout above the tunnels where visitors are treated to a panoramic view of the Oʻahu’s windward side with sweeping views of Kāneʻohe, Kāneʻohe Bay, and Kailua. 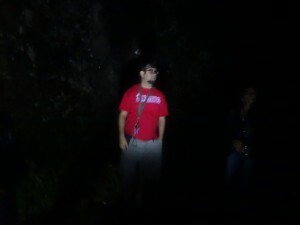 It is also well known for strong trade winds that blow through the pass (now bypassed by the Nuʻuanu Pali Tunnels), forming a sort of natural wind tunnel. 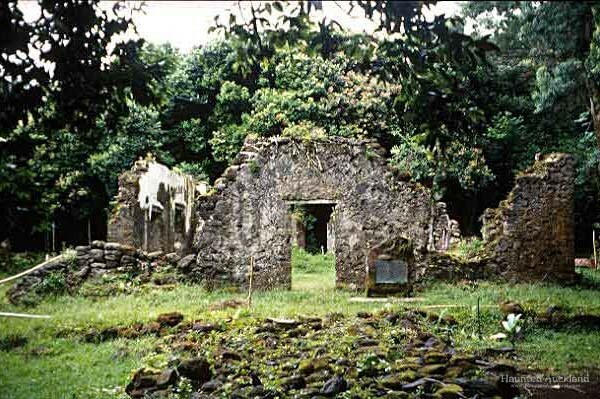 The Nuʻuanu Pali was the site of the Battle of Nuʻuanu, one of the bloodiest battles in Hawaiian history, in which Kamehameha I conquered the island of Oʻahu, bringing it under his rule. In 1795 Kamehameha I sailed from his home island of Hawaiʻi with an army of 10,000 warriors, including a handful of non-Hawaiian foreigners. After conquering the islands of Maui and Molokaʻi, he moved on to Oʻahu. The pivotal battle for the island occurred in Nuʻuanu Valley, where the defenders of Oʻahu, led by Kalanikūpule, were driven back up into the valley where they were trapped above the cliff. More than 400 of Kalanikūpule’s soldiers were driven off the edge of the cliff to their deaths 1,000 feet below. 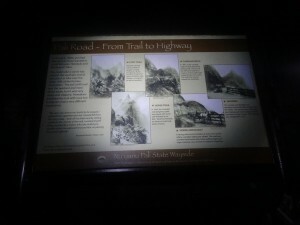 In 1845 the first road was built over the Nuʻuanu Pali, to connect Windward Oʻahu with Honolulu. 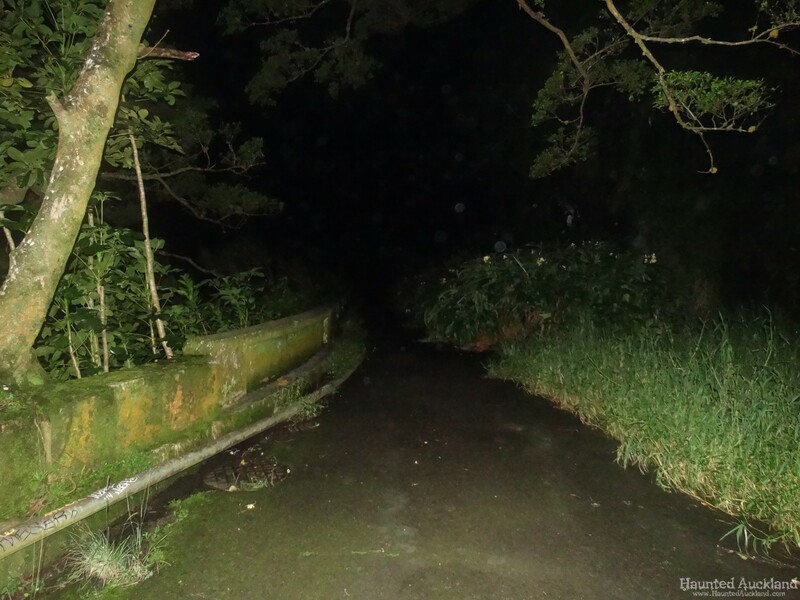 In 1898, as this road was developed into a highway, workers found 800 human skulls—believed to be the remains of the warriors who fell to their deaths from the cliff above. This road was later replaced by the Pali Highway and the Nuʻuanu Pali Tunnels in 1959, which is the route used today. 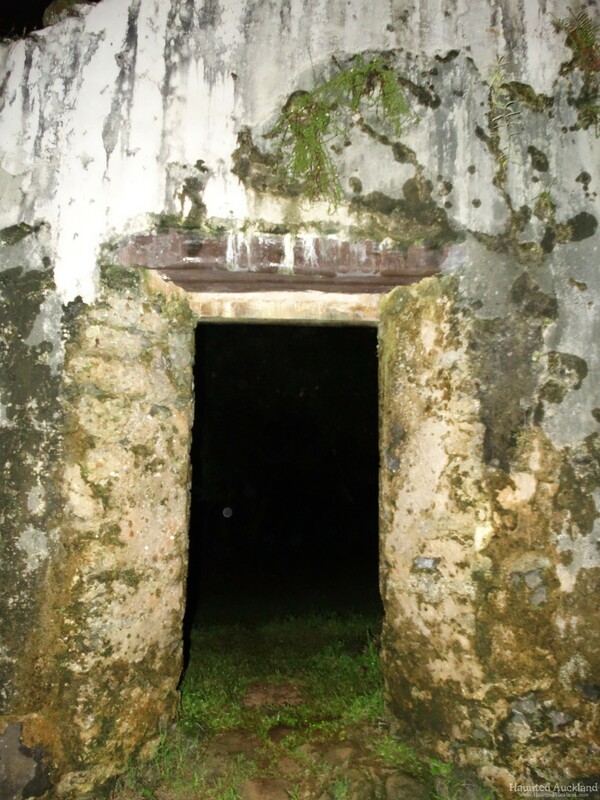 Two large stones near the back of Nuʻuanu Valley, Hapuʻu and Ka-lae-hau-ola, were said to represent a pair of goddesses who were guardians of the passage down the pali. Travellers would leave offerings of flowers or kapa (bark cloth) to ensure a safe trip, and parents buried the umbilical cords of newborns under the stones as a protection against evil. 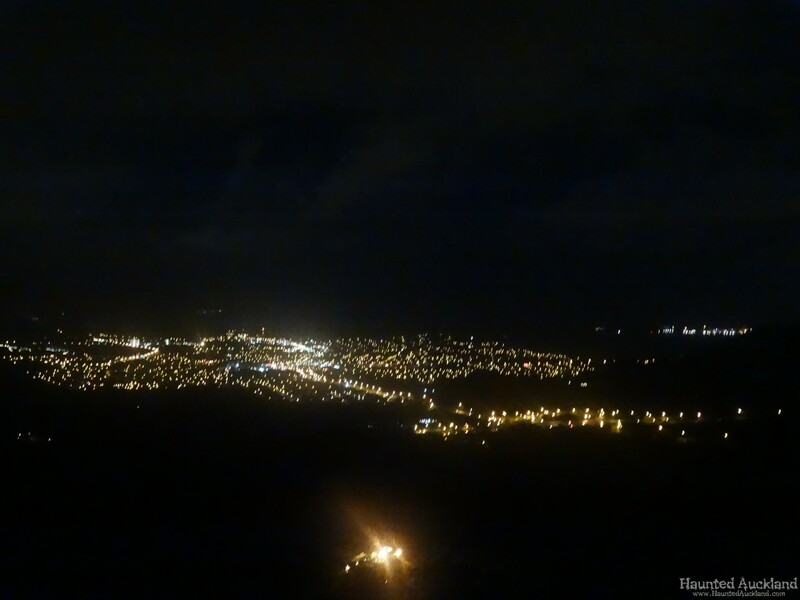 Hawaiian folklore holds that one should never carry pork over Nuʻuanu Pali, especially at night. Motorists reported that their cars mysteriously stopped and would not start until the pork was removed from the car. Pele (a more powerful and influential goddess than the moʻo wahine) was said to be responsible for this to prevent the passage of pork over the Pali. It was said Pele, the volcano goddess, was responsible for preventing passage due to her contest with Kamapua’a, a half human, half hog god, and would not allow him (in the form of pork) to trespass on her side of the island. Stories of assaults by ghosts have also been told, that these were supposed work of hungry spirits that go into a violent frenzy and attack travelers for their food. Truckers are known to tie a fresh green ti or banana leaf or a strip of bamboo to their containers of food products to deter angry spirits. This practice is called “Placing a Law upon the Food”.